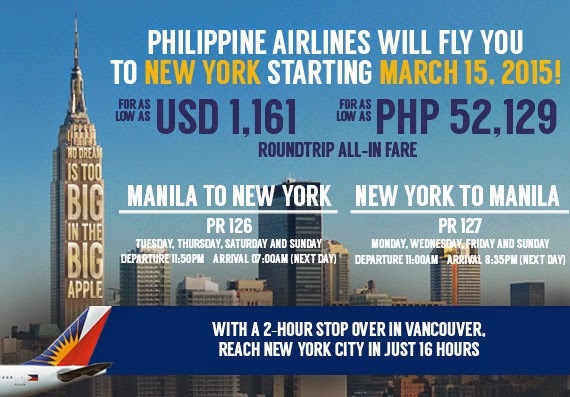 Manila to New York Rountrip for only P52,129 from PAL - Hello! Welcome to my blog! Indeed no No dream is too big when you're in New York! Starting March 2015, Philippine Airlines will start flying to the Big Apple. Who's with us? Visit www.philippineairlines.com/ for more information.